And technically it's not gold, it's mushrooms, and it's only there for a few days a year. Now that the season is over, I'll give you some hints and information about the Morel mushroom to inform, entertain and hope that you forget it all before next season. 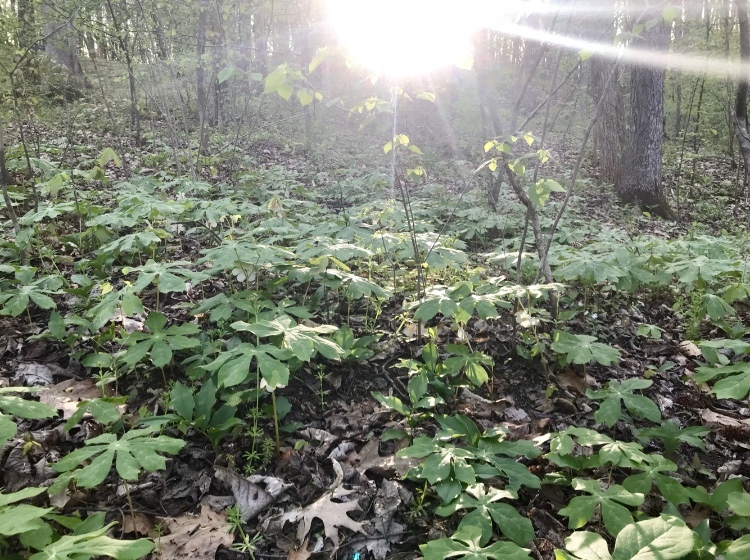 Each year in late March and early April members of my family begin sneaking around the bottomland looking for the first signs of Morel mushrooms and the plants that give you clues to their locations. 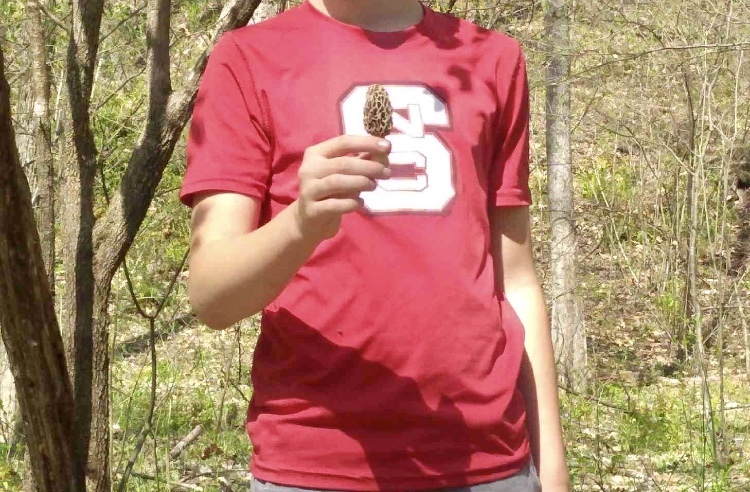 We have a “friendly” competition wherein the first to find the Morel in the spring is crowned King of the Woods for the whole year. The crown brings all kinds of perks: The first pick for one of the Deer stands in the Fall, the best seat in the front of the boat for Brim fishing, and the coveted front seat of the truck when we go Dove hunting. It's a title that pays off. So we take it seriously, and we keep it "on the down low" until the first one is found. Every mushroom hunter has their favorite haunts, but the sneaky devils move around each year. Factors like rainfall, ground temps, nighttime temperature and tree types make every year unique and the harvest ever changing. It's addicting, and I'm not kidding. Hunters are fiercely protective of their “spots” and when asked, have been known to send newbie's in the wrong direction....ahem. Again I digress. So here's a quick way to know that you are at least in the right neighborhood. Ground temps should be around 60 degrees and rising, and you are in bottomland or an area adjoining water. Top Tip: In my opinion, you need: Mature Poplars trees (Ash and Beech), ferns that are just beginning to sprout, May Apples and a forest that is just starting to green up. I like areas that have mature trees and a high canopy, proximity to a moving creek, moss on a northern side and sandy bottomland. Ferns, Mayapples and Poplar trees are a must for me. You won't find morels in areas where pines thrive; the ground is too acidic. Lots of folks swear that they grow great in old apple orchards, but unless you own the farm you're going to have to come up with some strong BS as to why you're ambling along looking at the ground while trespassing on someone's orchard. But hey, you may have that sweet talk gene. Do you have a friend that can always find four-leaf clovers? Well, take him/her Morel hunting with you. When you FINALLY spot your first one, I guarantee you'll shout for joy and have the urge to run to pick it. Do NOT!...Don't move, slowly mark the mushroom with your ball cap and then begin looking through the undergrowth around you for the same color and size. I kid you not; others materialize out of thin air. Where once there were none, now there are some! And just like that, you've got Gold Fever. If you're like me, you'll never walk the spring woods again without searching. I pray that you find some ground next spring and find your own first Morel. I hope that you build traditions with your family and friends that endure and create lasting memories. Just don't do it anywhere near my spot.